Angle parking is when a vehicle is parked at an angle and not parallel to the kerb, boundary or edge of the road as indicated by signs or road markings. A bicycle storage area is a safety feature at any intersection with traffic lights that allows bicycle riders to be more visible to drivers. It is represented on the road with a white bicycle symbol, the area maybe painted green. A built-up area is an area where there are buildings on land next to the road or street lighting. A clearway is a stretch of road along which stopping and parking are banned during certain times of day, such as morning and afternoon peak periods. It is shown by signs with the times marked on them. A commercial vehicle is one built solely for carrying goods. A utility (ute) is a commercial vehicle, but a station wagon and a sedan are not commercial vehicles. CBT&A optional training and assessment course conducted by a CBT&A Driving Instructor. It consists of 30 tasks set out in a log book, and is required to be completed by the holder of a learner's permit in order to obtain the class C (car) driver's licence. The CBT&A course may be completed instead of the VORT practical driving test. A continuing road at a T-intersection means the road on which the traffic route continues through the intersection. It is not necessarily the top of the 'T' but may be shown by signs and road markings. A crossover road is the connecting road between the two sides of a major road, such as Anzac Highway in suburban Adelaide, where there is a broad piece of land between the two multi-lane roads. The crossover road can be one-way or two-way. A Customer Service Centre is where driver licensing and vehicle registration transactions are completed. See Customer Service Centre locations. A dividing line means a road marking formed by a line or two parallel lines, either broken or continuous, designed to show the parts of the road to be used by vehicles travelling in opposite directions. According to the Road Traffic Act and the Australian Road Rules, a driver is the person who is driving a vehicle (except a motorcycle, bicycle, animal or animal-drawn vehicle). However, for the purposes of this handbook and unless otherwise stated, the term 'driver' also includes 'rider', and 'driving' includes 'riding'. A line marked along the road at or near the far left or far right side of the road. GVM is the maximum loaded mass (or weight) of the vehicle specified by the manufacturer on the compliance plate or, if not, by a vehicle registration authority - in South Australia, the Registration and Licensing section of Department for Transport, Energy and Infrastructure. The Hazard Perception Test is part of the Graduated Licensing Scheme for new drivers. It involves a computer-based test that measures your ability to recognise potentially dangerous situations on the road and react appropriately. You must pass the Hazard Perception Test to progress from P1 to a P2 licence. An intersection is an area where two or more roads meet. It includes an area where vehicles travelling on different roads might collide and the area of any slip lane where roads meet. The Learner Approved Motorcycle Scheme allows R-Date licence holders to ride approved motorcycles with an engine capacity of up to 660ml, with a power-to-weight ratio of up to 150kw/t. A list of approved motorcycles is available from any Customer Service Centre, the website www.sa.gov.au/motoring or by telephoning 13 10 84. A 'lane' is the space between two lines (or a line and the kerb) painted to divide the road into two or more lines of traffic travelling in the same direction. A 'laned' road therefore has at least two lanes. A centre line is NOT a lane line. A road without marked lanes is an 'unlaned' road, regardless of its width. A level crossing is where a road and a railway or tramway meet and cross each other at substantially the same level. Most level crossings have a level crossing sign on the road at each approach to the crossing. A log book is included in the Department For Transport, Energy and Infrastructure publication The Driving Companion. This is used to record the hours of supervised driving (minimum 75 hours including 15 hours of night driving) by a qualified supervising driver. Note: The term log book is sometimes used to describe the 30 task list of the Competency Based Training & Assessment (CBT&A) course which is also included in the publication. A long vehicle is a vehicle that is at least 7.5 metres long, including a trailer or caravan and any item or part of the load that is overhanging the rear or front of the vehicle. The dividing strip and the median strip are areas or structures that divide the road lengthways. They are designed to separate vehicles travelling in opposite directions, but do not include a bicycle path, footpath or shared path. The median strip is a wider, grassed or filled strip between kerbs. The dividing strip is a narrower strip, also between kerbs. A multi-lane road is a one-way road or a two-way road with two or more marked lanes (except bicycle lanes) that are on the side of the dividing strip or median strip where the driver is driving and for the use of vehicles travelling in the same direction. An obstruction is something that causes a hazard to traffic but is not a vehicle that has stopped in traffic or is travelling more slowly than other vehicles. Overtaking is when you approach from behind and pass a vehicle travelling in the same direction. Most drivers and riders consider overtaking to be crossing to the 'wrong' side of the road to pass a vehicle in front. But you are also overtaking if you are behind another vehicle and move into another lane or line of traffic (e.g. when passing another motor vehicle in another lane or passing a bicycle in front of you). A painted island is an area of road on which there are white stripes marked on the road surface. Parallel parking is when a vehicle is parked with one of the longer sides of the vehicle, usually the left side, alongside and parallel to the kerb, boundary or edge of the road. Pedestrian Crossing is the common term used in South Australia to describe a marked foot crossing - a place marked on a road where adults and children may cross safely. 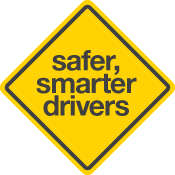 A qualified supervising driver is a person who supervises a novice (Learner) driver and can display appropriate driving behaviours and attitudes for making safe driving decisions. The qualified supervising driver must meet the following criteria; must have held an unconditional licence (not subject to provisional, probationary conditions or good behaviour) for a minimum of two years and have not been disqualified in the previous two years; must not have a blood alcohol level of 0.05 or higher or THC (Cannabis), Methylamphetamine (Speed), MDMA (Ecstasy) in their blood or oral fluid, and must hold a licence to drive a vehicle of that class or higher class being driven by the learner driver. As well as someone who lives permanently in South Australia, a resident of South Australia can be any overseas person (holding a permanent visa under the Migration Act 1958) or interstate person who has resided in South Australia for three months. It does not include members of the Armed Forces or the spouse or dependants of the member. A rider is the person who is riding a motorcycle, bicycle, animal or animal-drawn vehicle. A road is an area that is open to or used by the public and is developed for, or has as one of its main uses, the driving or riding of motor vehicles. Unless otherwise stated, a reference to a road in this handbook includes a road-related area. the kerb of the road. A road train is a combination of heavy haulage vehicles consisting of a prime mover and at least two trailers. A road user is a driver, rider of a motorcycle or bicycle, passenger, pedestrian, or user of a wheeled recreational device or toy. A slip lane is the area of road for vehicles turning left that is separated from other parts of the road by a traffic island or a painted island. A T-intersection (commonly called a T-junction) is where one road ends (a terminating road) and the other road continues (continuing road). The terminating road is not necessarily the 'stem of the 'T' because either of the roads can end at a T-intersection through the use of road markings. A turning lane is a marked lane, or the part of a marked lane, for vehicles travelling in one direction, such as where a 'left turn only' sign applies. A U-turn is a turn made by a driver or rider so that the vehicle faces in approximately the opposite direction from which it was facing before the turn was made. It does not include a turn made at a roundabout. A vehicle includes a motor vehicle, trailer, motorcycle, bicycle, tram, an animal-drawn vehicle and a motorised wheelchair that can travel at more than 10 km/h. VORT is the optional practical driving test that learner drivers may pass in order to obtain the class C (car) driver's licence. The VORT has a pass/fail result and it may be attempted instead of the Competency-Based Training course.